Striker Brian Mwila has completed a three year deal at Egyptian side Smouha from Zambian side Buildcon, the ZamFoot Crew can reveal. The 24 year old missed Buildcon’s 1-0 defeat to Power Dynamos in Kitwe on Sunday in the league and later on emerged that he has signed for the Egyptian side. The Samfya native who was snapped up from Luapula by lower tier side Ndola Lime Hotspurs before spending a season at Kabwe Warriors made his name at Green Buffaloes. scoring competitive debut nine days later against South Africa in the Cosafa Cup. At the turn of the year, Mwila had 8 goals in 11 appearances for Zambia. A record better than the late Kelvin Mutale, the late Dennis Lota, Collins Mbesuma or Chris Katongo in their first 10 international games. The highlight was a brace against Algeria in the World Cup qualifier at Heroes Stadium. With such a scoring record, the striker transferred to South African side Platinum Stars in August 2017 where he struggled for form as he picked up niggling injuries. 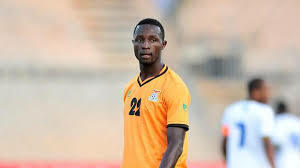 Mwila spent unsuccessful four months in South Africa and luckily Zambian big spenders Buildcon signed him in January 2018. A lot was expected from Mwila but a return of 2 goals saw him lose his place to Rahim Ousumanu at Levy Mwanawasa Stadium. That dip in form also saw him omitted from the Chipolopolo Boys’ recent squads. A change of environment would be good for Mwila, but Egypt hasn’t been a good destination for Zambian players. Felix Katongo, Sate Sate, Patrick Ngoma and most recently Clatous Chama. For Buildcon, it’s good business for offloading a striker coach Tenant Chembo had deemed surplus. I think, that’s the end of his career. Egypt has become a place for one to hang their boots, especially Zambians. The move makes sense for one who may not rediscover their form anymore so that they can earn their last coins of their career. I thought he was the next big thing in Zambian football in terms of his good scoring rate.He was a goal scoring machine in the making.I hope he rediscovers his scoring form fast in the Egyptian league. The problem is some of the Zambian players who always put everything to God to help them. Everyone on earth is a child of God period. Meraning God cannot do it for a few, never. When it is said that “GOD HELPS THOSE THAT HELP THEMSELVES”, this is not a joke. Simple means if you don’t help yourself ninshi lobe mune. I wish him well. It been hard ground for Zambian players in Egypt for sure. I hope he makes. He needs to earn some money, soccer is a short career.